OSAKA, Japan -- World No. 1 Japan and No. 2 United States will play in the world championship finale of the XXVII WBSC U-18 Baseball World Cup at historic Hanshin Koshien Stadium in Osaka on Sunday, 6 September at 18:00 (GMT+9). 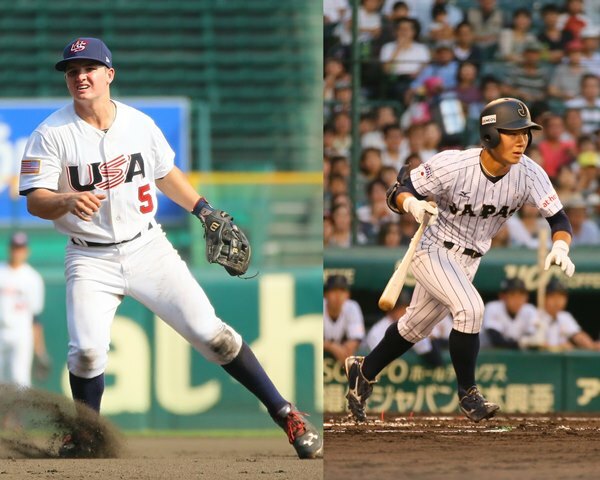 One day of competition ahead of the close of the Super Round, the Samurai Japan and U.S. U-18 National Teams have climbed atop the baseball world and will finish first and second in the Super Round Standings. With the U.S. having defeated world No. 8 South Korea in a thrilling come-from-behind victory (7-4) Thursday night, the U.S. possesses the tie-break advantage over South Korea. While the world Nos. 1-2 are confirmed to be in Sunday's gold medal finale, the final day of the Super Round on Saturday will determine the nations that will battle for the bronze medal. The bronze medal match will take place at 13:00 on Sunday, 6 September at Hanshin Koshien Stadium.